This Buy Sell Trade Swooper Flag is Highly Portable! 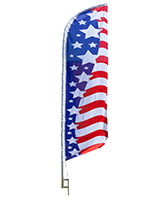 This Display Utilizes an Aluminum Flag Pole! This Buy Sell Trade Swooper Flag Sets Up in Minutes! Pre-printed on a single side (dyed through) for a reverse image on back. 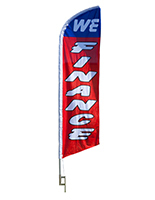 14' Height banner with a red, white and blue color scheme for a highly visible display. This buy sell trade swooper flag that entices customers is an inexpensive advertising method that costs a fraction of custom displays! 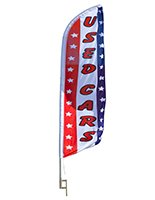 This car dealer feather banner is printed with a bright dyed through message. 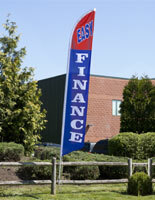 This buy sell trade swooper flag that includes a ground spike for installation can be reused and relocated as desired. This signage is a colorful eye catcher. 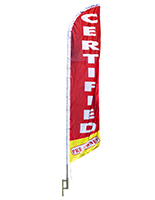 This promotional buy sell trade swooper flag is perfect for car dealerships who want to get an edge in a competitive marketplace. Users of this display can strategically position by the roadside so passerby customers can clearly see the banner whether in a car or on foot. This buy sell trade swooper flag sets up in minutes. This display includes a poly knit banner that is meant to last outdoors and will have an extended lifespan if taken in at night or during inclement weather. 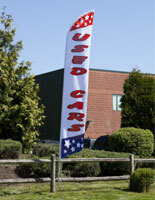 This portable buy sell trade swooper flag, also known as a car dealer banner, stands 14 feet tall! 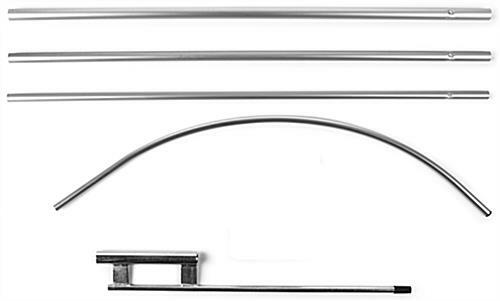 This car dealer signage includes a 4 piece aluminum pole making this display low cost. 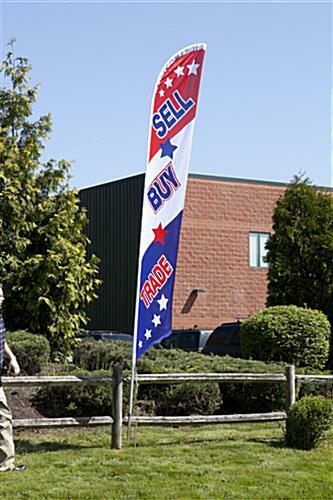 This feather banner, buy sell trade swooper flag that waves in the wind is sure to grab the attention of potential customers! When compared to fiberglass poles, aluminum is a fraction of the cost. This inexpensive buy sell trade swooper flag also does not include a nylon carrying case that "deluxe" models come with. 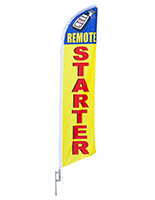 This signage is designed with a pole sleeve so the banner simply slides onto the pole for an easy to use kit. This buy sell trade swooper flag highly visible.